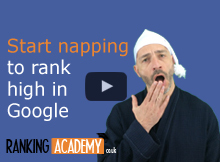 You must start napping if you want to rank high in Google local search results. Does that sounds intriguing? Do you want to know more? Watch this video. Don’t waste your time figuring out what you should do first to promote your business. I have done it for you. 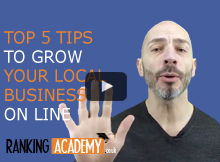 Here are my 5 top tips. 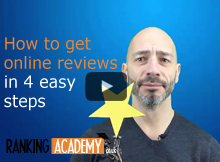 Online reputation is nowadays one of the most important aspect of online success for local businesses. Learn how to build a positive reputation in 4 easy steps. You’ll never have a second chance to create a first impression. 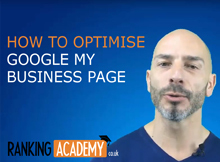 Follow this step by step tutorial and learn how to optimise your Google my business page. 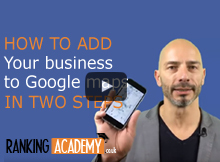 Adding your business to Google map is extremely simple yet many business don’t do it properly. 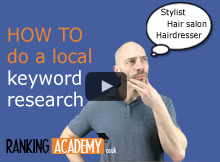 Follow this 2 step video tutorial and learn how to do this correctly.